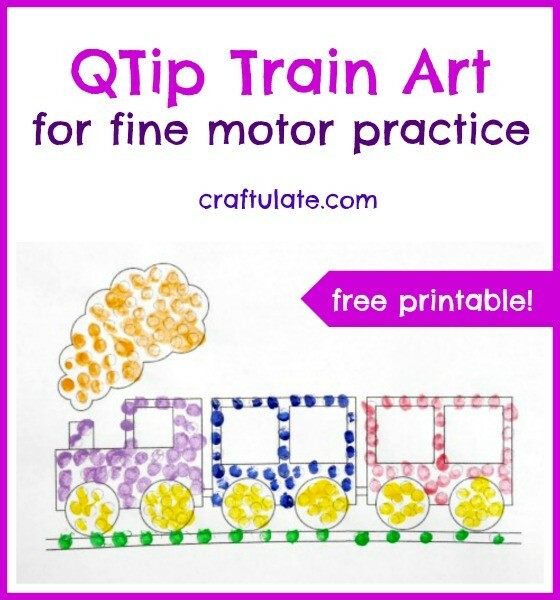 This QTip train art is a fun way to paint and is great for fine motor practice too. 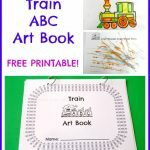 This train art is part of the Train ABC Art book that I published a couple of days ago. 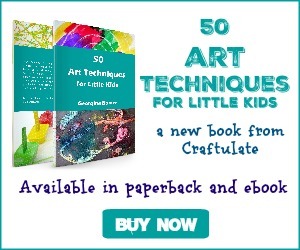 As well as producing a really pretty picture it is great for working on fine motor skills – holding the QTip and manipulating it so that the paint goes exactly in the circle. It takes quite a bit of time to complete this picture, so younger children may not have the patience to see it through to the end. *Original train outline from ScrapColoring. 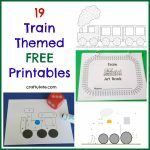 Show your child how to dip the end of the QTip in the paint and dab it into the circles on the train picture. 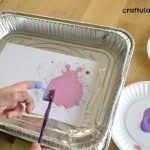 Try and encourage them to make individual dots with the QTip, rather than use it to drag the paint across the paper! Love this!! Such a fun printable! I know two kids would would have fun with this! Great idea! I think I’ll pull out some q-tips for painting!